An international team of researchers presents fresh evidence that confirms the existence of the superheavy chemical element 115. The experiment was conducted at the GSI Helmholtz Center for Heavy Ion Research, an accelerator laboratory located in Darmstadt. Under the lead of physicists from Lund University in Sweden, the group, which included researchers from Johannes Gutenberg University Mainz (JGU) and the Helmholtz Institute Mainz (HIM), was able to present a way to directly identify new superheavy elements. Elements beyond atomic number 104 are referred to as superheavy elements. They are produced at accelerator laboratories and generally decay after a short time. Initial reports about the discovery of an element with atomic number 115 were released from a research center in Russia in 2004. The then presented indirect evidence for the new element, however, was insufficient for an official discovery. 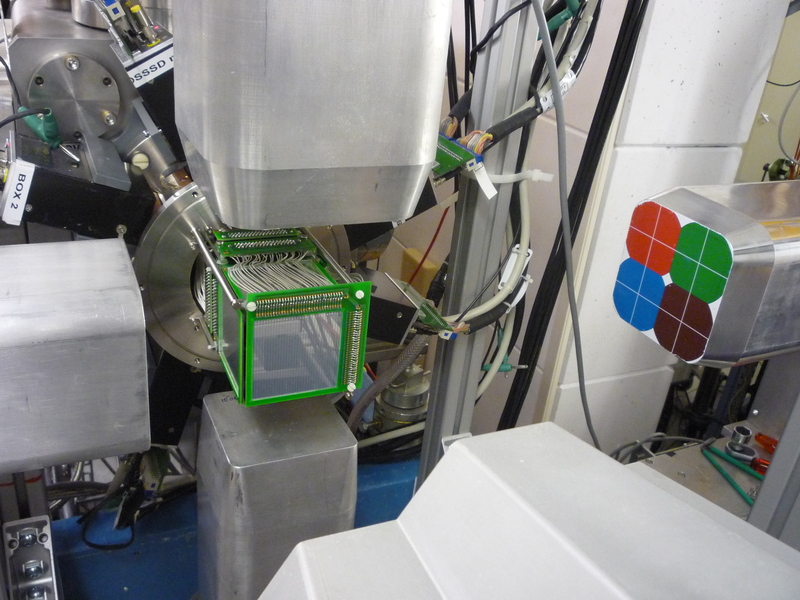 For the new experiment, scientists at the Institute of Nuclear Chemistry at Mainz University took a sample of the exotic element americium. They deposited an americium layer on a thin foil, which was subsequently bombarded with calcium ions at the GSI facility. 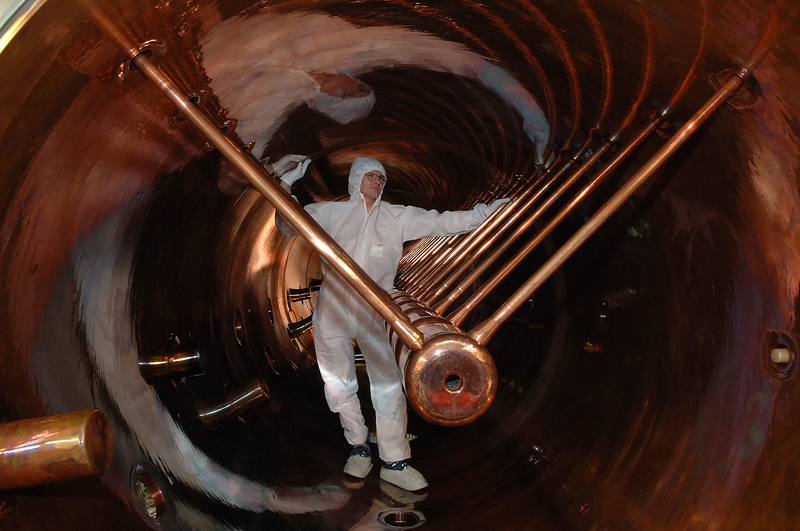 For the first time, the exploitation of a new detector system allowed registering photons along with the alpha-decay of the new element and its daughter products. Measured photon energies correspond to those expected for X-rays from these products and thus serve as the element's fingerprint. "This can be regarded as one of the most important experiments in the field in recent years, because at last it is clear that even the heaviest elements' fingerprints can be taken", agreed Professor Dirk Rudolph from Lund University in Sweden and Professor Christoph Düllmann, professor at Mainz University and leading scientist at GSI Darmstadt and HIM. "The result gives high confidence to previous reports. It also lays the basis for future measurements of this kind." The element 115 is yet to be named: a committee comprising members of the international unions of pure and applied physics and chemistry will review the new findings and decide whether further experiments are needed to acknowledge the discovery of the element. Only after such final acceptance, a name may be proposed by the discoverers. Besides the X-ray events, the researchers have also obtained data giving them a deeper insight into the structure and properties of the heaviest currently known atomic nuclei. This paves the way towards improved predictions for properties of nuclei beyond the border of current knowledge. The new findings will soon be presented in the scientific journal The Physical Review Letters. View into the 120-meter long linear accelerator at GSI, which accelerates calcium-ions used to produce new elements. 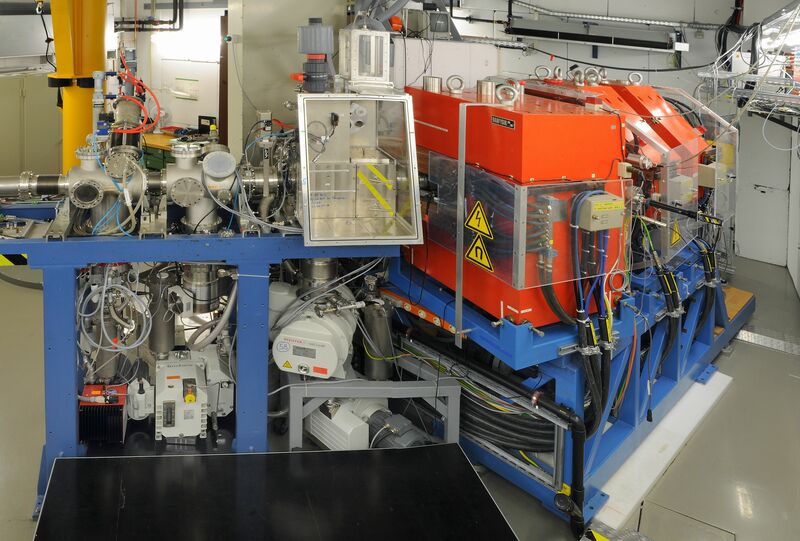 The TransActinide Separator and Chemistry Apparatus (TASCA) at GSI Darmstadt is a highly efficient device for studying superheavy elements.